Gift Certificate codes will be emailed to you after check out. 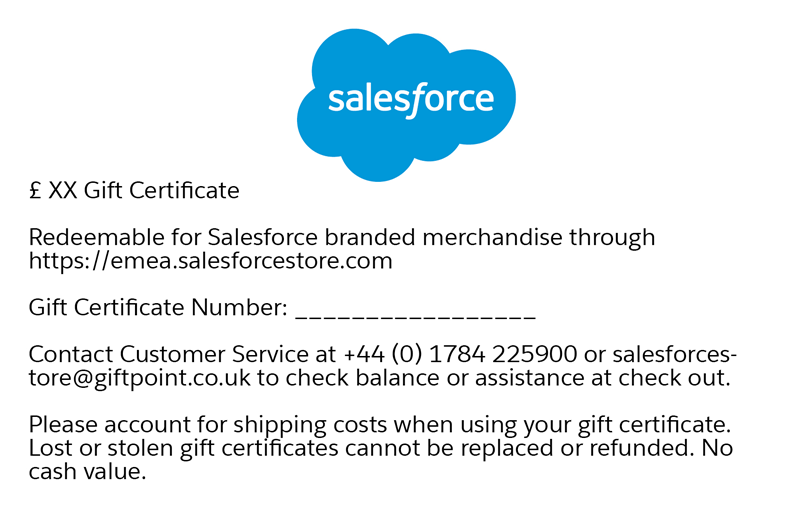 Contact Customer Service at +44 (0) 1784 225900 or salesforcestore@giftpoint.co.uk to check balance or assistance at check out. Please account for shipping costs when using your gift certificate. Lost or stolen gift certificates cannot be replaced or refunded. No cash value.